After three months of repainting, renovating, and gathering the crew back together, Bahama Bucks Frisco is now open on Legacy Dr under new ownership! The doors reopened on Tuesday, December 4th with hundreds of customers coming in for Free Sno Day, excited to have their favorite shaved ice place back! Some new menu items have been added as well such as the 44 oz Everest Sno, and condensed milk. The new owners, Spencer and Kathy O’brien, are thrilled to have the doors reopened. Spencer and Kathy have been nurses for 10 years, but are ready for this new adventure as owners. “We met in nursing school, and have had two little girls, Kylee and Kinslee,” Kathy states. 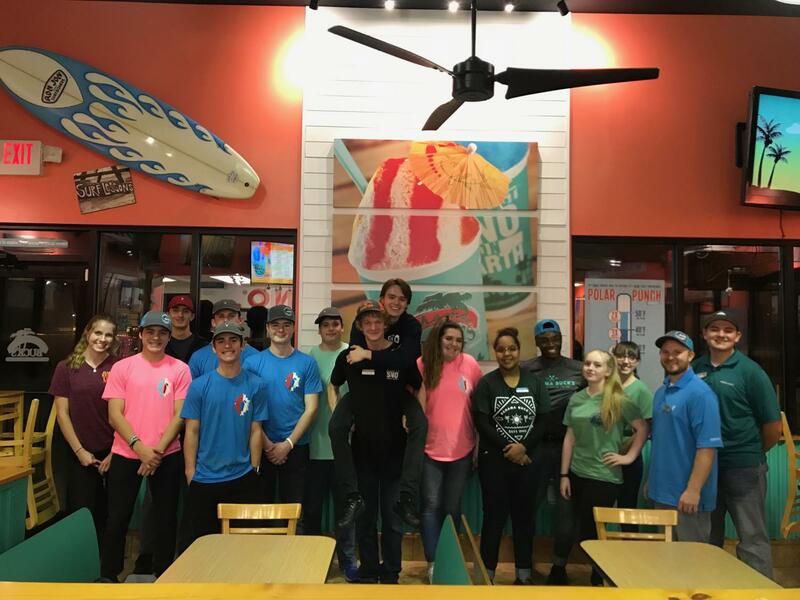 “As busy as our lives are, we have always wanted to be owners of a Bahama Bucks store and are so grateful to have this opportunity to build relationships with our Avalanche Crew and customers”. Spencer has also had previous experience in college with Bahama Bucks when he worked in Lubbock and since then has helped his parents open a location in Sachse, TX. Although the weather has been extremely chilly outside, that doesn’t stop customers from coming in to get shaved ice! The Polar Punch deal is bringing these customers in: as the temperature decreases, Bonus punches for the punch cards increase as well! Come by when it’s 50 degrees or below to get 2x-4x the punches on your card! Bahama Bucks Frisco offers shaved ice products, smoothies, frostalattes, lemonades, and more. Swing by there soon to check it out!